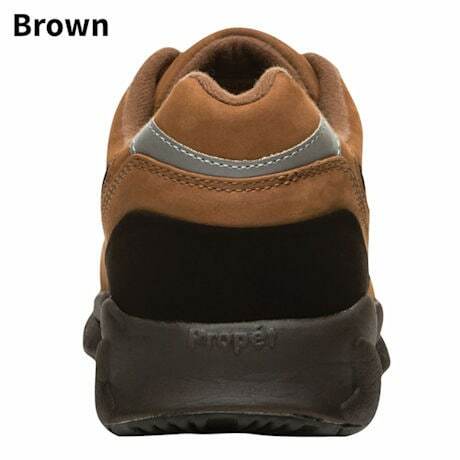 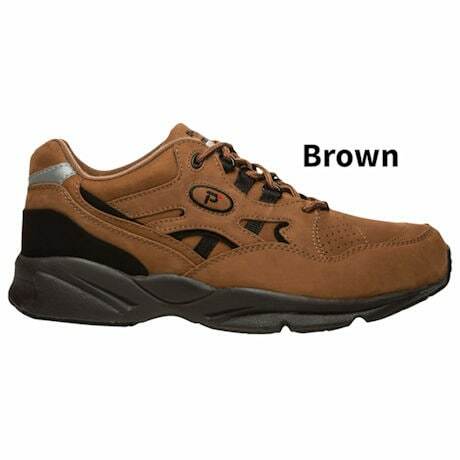 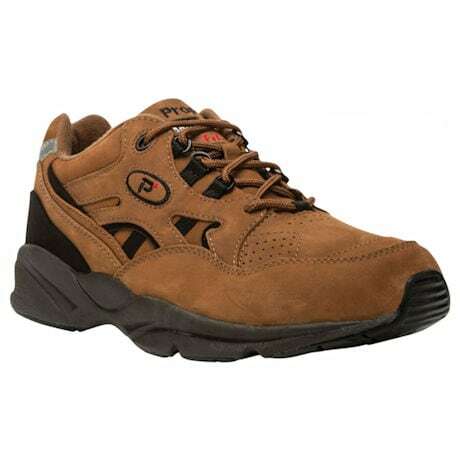 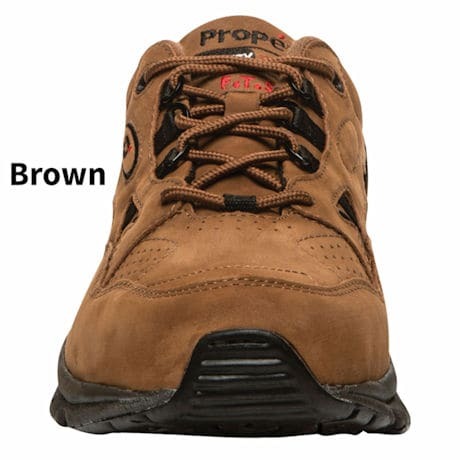 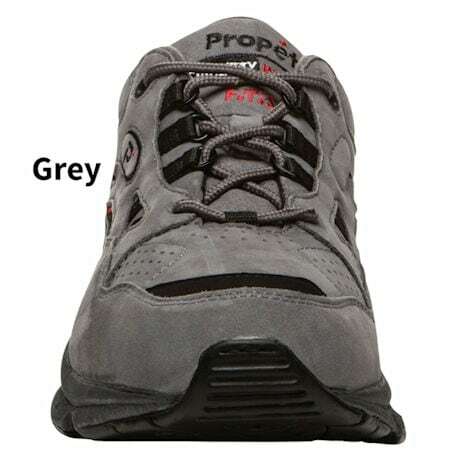 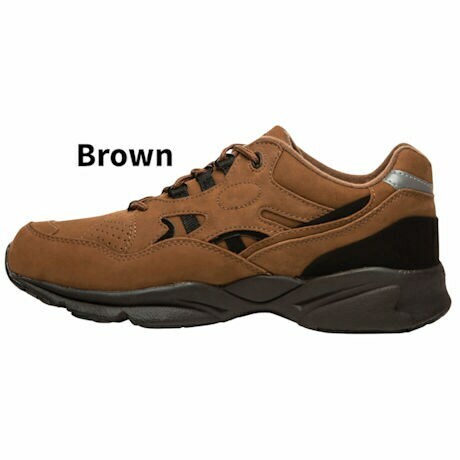 The Propet® men's nubuck leather Stability Walker combines comfort, support, and style for a walking shoe you will want to wear every day. 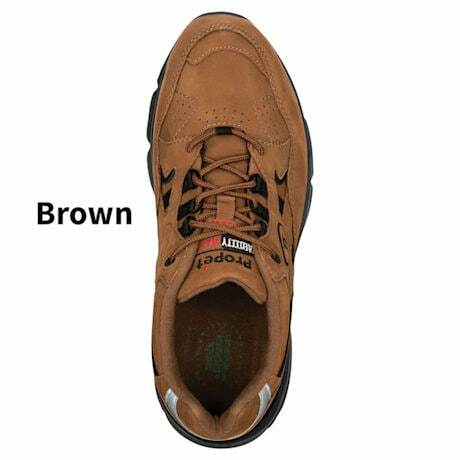 They have a speed lace system for the perfect fit with easy adjustment, and a wide forefoot and heel base for stability without squeezing. 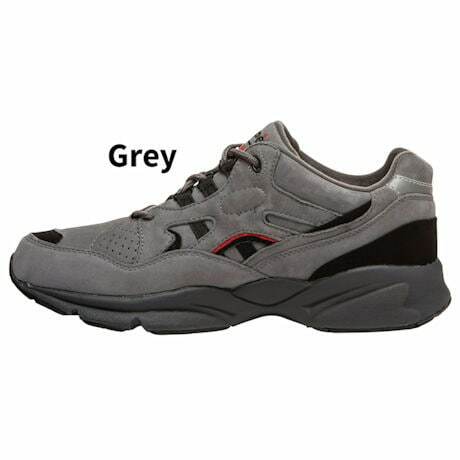 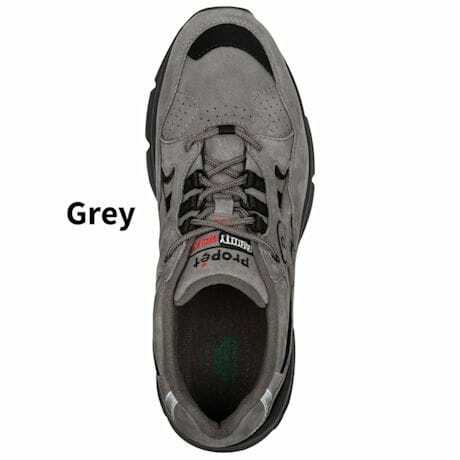 For all-day comfort, the shoe features a brushed nylon lining, padded collar and tongue, and PU insole with gel heel pad and cushioning ridges. 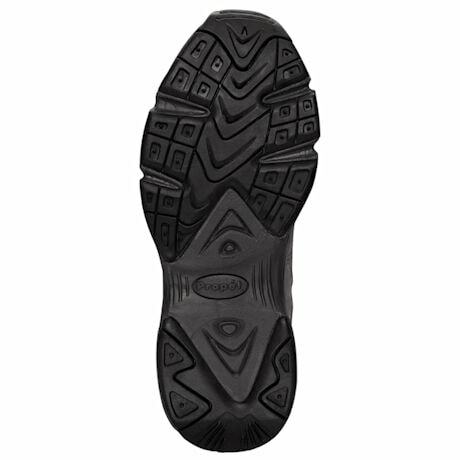 An arch-supporting EVA midsole and rubber outsole with a rocker profile ensure a more natural step and solid traction. 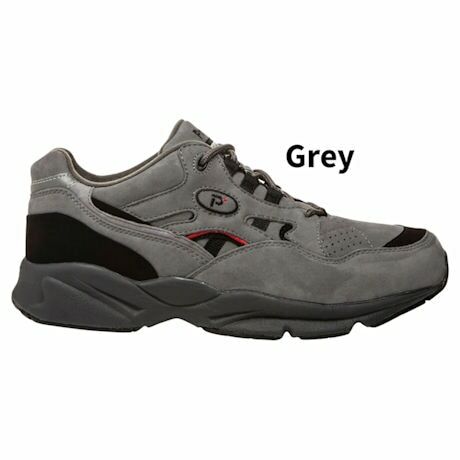 Removable footbed accommodates your custom orthotics.